No this has nothing to do with my previous post about Zombie Strippers! Tomorrow I will joining P.I.G.S. 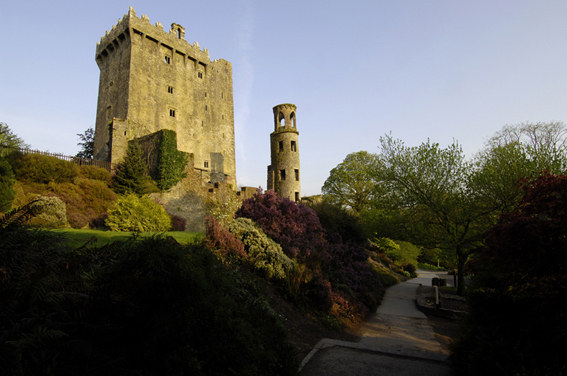 on a Halloween excursion to Blarney castle as we go ghost hunting, or hope to anyway. The PIGS were the people behind the recently successfulParacon event in Clontarf castle. So basically a gang of about 30 of us will have the privilege of having Blarney Castle in Cork to ourselves for 6 hours tomorrow night. Despite all the techno talk about gadgets and gizmos the investigators, mediums and psychics are bringing, the only advise the gave me was to bring a torch and chocolate. Presumably the torch is used to help me eat the chocolate should the lights go out? I don’t know what to expect. My fear level is currently at 2. The 2 representing my fear that I will get lost driving down. I will post back up some photos and commentary on Sunday! Some more photos below. Click to enlarge. ← Knight 3000? Val Kilmer? No Hoff?